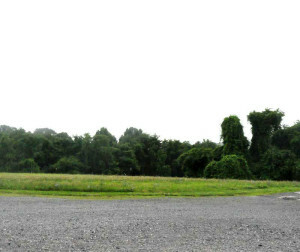 The future site of Unionville Park. Tonight’s groundbreaking ceremony has been postponed due to weather. EAST MARLBOROUGH — Tonight’s scheduled groundbreaking for the first phase of Unionville Park has been postponed due to inclement weather. No new date has been announced. Tonight’s Board of Supervisors meeting will held as scheduled at 7 p.m. at the Township Building. The initial phase of the park is slated to start shortly, and construction equipment is already on the site, located behind the Unionville Post Office and Po-Mar-Lin firehouse.